Emrakul, the Promised End is banned. The list of all banned and restricted cards, by format, is here. The full list of cards banned in Modern is here. The full list of cards banned in Standard is here. There's a lot to digest from the above announcement, so let's take each piece one by one. First, we announced changes to the list a week earlier than normal. When we last announced the date for this Banned and Restricted update, we posted it as January 16, 2017. However, we've been listening closely to community feedback, specifically on the Standard format, and while many players have found fun and inventive ways to enjoy the format, many others have pinpointed a few cards that hold the game back from being as fun as it can be. Furthermore, our data shows that White-Blue Flash unbalanced the format, stifling some of the creativity we believe can exist. Given all of that, we decided to make changes for the health of the format. With the full set of Aether Revolt just revealed last Friday, we knew that the new cards would be evaluated in light of the current format, and players would spend a week brewing, creating decklists, and dreaming of what to do next. So, in the interest of giving players the time and context to evaluate Aether Revolt accurately, we moved the date up by a week. Of note: The effective date remains January 20, the day Aether Revolt releases. Having it at any other time would create an odd, in-between format where Aether Revolt wasn't yet legal, but three cards were banned. Since that would lead to widespread confusion and a strange, one-week metagame, the paper effective date was left as is. 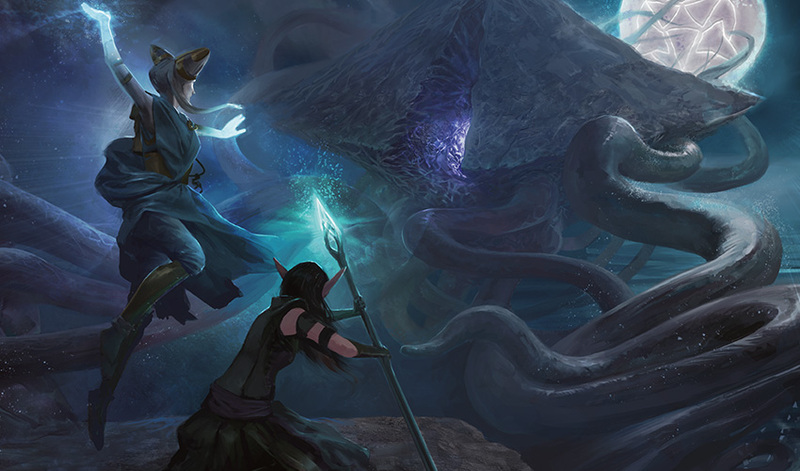 On Magic Online, the change will be implemented on January 11, at which time we will be rotating the Standard League earlier than originally announced. Look for more information on MTGO.com today. Second, we banned three cards in Standard—Smuggler's Copter; Emrakul, the Promised End; and Reflector Mage—to improve and diversify the Standard environment. These changes were driven by play data that demonstrated an imbalance in Standard as well as anecdotal evidence that players found these specific cards to limit their ability to stay competitive with creative, fun, diverse decks. Let's look at these card by card. Emrakul, the Promised End—Created to be scarily powerful, Emrakul, the Promised End delivered on that promise too well. Emrakul faced too little resistance and ended games too easily. She was the world-ending, all-powerful monster she was in the story, which was too much for Standard. Smuggler's Copter—Simply put, Smuggler's Copter is too efficient and shows up in too many decks, diminishing the format's diversity. We want Planeswalkers, sorcery-speed removal, and a variety of vehicles to be viable options, and believe removing Smuggler's Copter will allow them to flourish again. Of the top archetypes in Standard, very few didn't play four copies of Smuggler's Copter, stifling many creative, fun options. Smuggler's Copter was the result of a new card type pushed too far, and, as such, is now banned. Reflector Mage—Our data showed the White-Blue Flash deck was too powerful against the field, and Reflector Mage has been on players' lists of most-disliked cards since the days of Collected Company. Other cards were discussed to check White-Blue Flash, but Reflector Mage came up time and time again as both frustrating and a targeted way to diminish the White-Blue Flash deck. Third, in Modern we banned Gitaxian Probe and Golgari Grave-Troll. Gitaxian Probe—Gitaxian Probe increased the number of third-turn kills in a few ways, but particularly by giving perfect information (and a card) to decks that often have to make strategic decisions about going "all-in." This hurt the ability of reactive decks to effectively bluff or for the aggressive deck to miss-sequence their turn. Ultimately, the card did too much for too little cost. Golgari Grave-Troll—Dredge, the mechanic and the deck, has a negative impact on Modern by pushing the format too far toward a battle of sideboards. With the printing of Cathartic Reunion and Prized Amalgam, the deck once again became unhealthy for the format. While those cards were discussed, the real offender always has been the dredge mechanic itself. Banned and Restricted announcements will now be made both on the Monday after Standard-legal set Prereleases and five weeks after a Pro Tour, also on a Monday. We're making this change to give us, as well as the player community, greater flexibility in keeping organized play healthy and fun. We recognize that Pro Tour play, which is most directly informed by the announcement timeframe, represents a small fraction of Magic play. The play that is most affected by formats becoming imbalanced is the kind that happens between announcements—Friday Night Magic, Grand Prix, local tournaments, Magic Online events, Pro Tour Qualifying tournaments, or even just friends playing at home adhering to format rules. So, in order to best serve the majority of Magic players, we're adding the mid-set window to ensure play experiences at those myriad events are the best they can be. We do not expect this to lead to an increase in the number of cards banned or restricted (or unbanned or unrestricted), but the greater flexibility will allow us to address play issues more quickly. We're making all of these changes because we believe they will help keep Standard healthy, diverse, and, most importantly, fun. Aether Revolt is packed with new, interesting cards that you'll want to try out in this refreshed, open environment. Get your first look at them this weekend at a Prerelease near you.